Traveleurope Milan hotel reservation service provides you with a wide variety of lodging and hotel options, from cheap hotels to luxury accommodation in Milan near Linate Airport. Quick and easy hotel reservations with instant confirmation and great value for money whether you travel for business or tourism. Select travel dates and find all available hotels in Milan - Linate Airport, check out guests reviews and locate properties on Milan city maps, book your favourite accommodation with no pre-payment. All rates are in Euros and inclusive of all taxes. 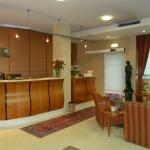 Motel Miami, recently renovated, is located near the ring road east Pioltello and the A1 to Bologna and Rome. 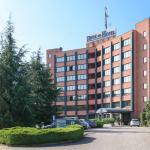 Ideal for those who must take an early morning flight, it is only 2 km from Milan Linate airport. 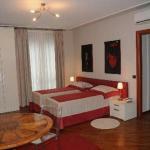 Centrally located in Segrate, the Residenza Segrate Centro is right on the outskirts of Milan. 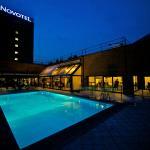 It offers easy access to Linate airport, reachable by the shuttle bus that stops opposite the hotel.